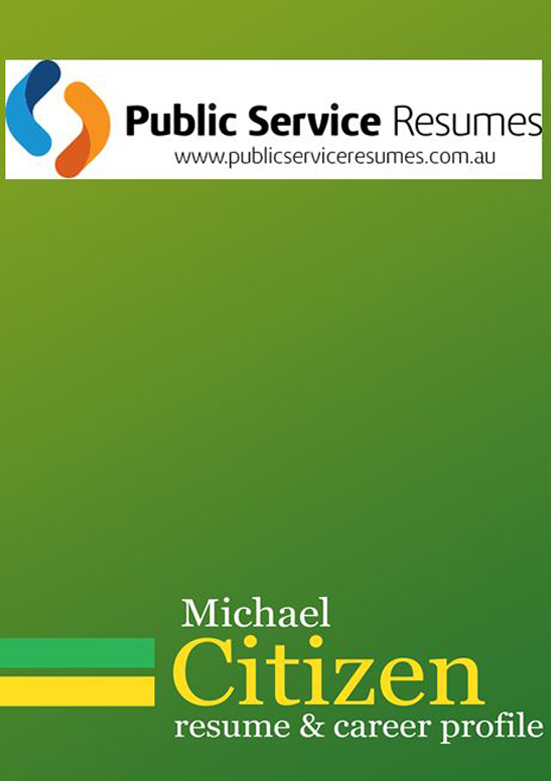 Public Service Resumes Government Professional Resume writing service is advantageous for any career minded professional. The Public Sector job market can be competitive and in order to stand out it is important that you have a Resume that enhances your professional skills and capabilities. Whether you are applying for the first time with the Government, or are simply looking for a career change between departments, your Resume should be tailored to the specific position, whilst clearly highlighting your skills, past duties and accomplishments. It is to your advantage to provide as much relevant information as possible in relation to your career history, qualifications, professional development and any higher level positions that you may have stepped into. 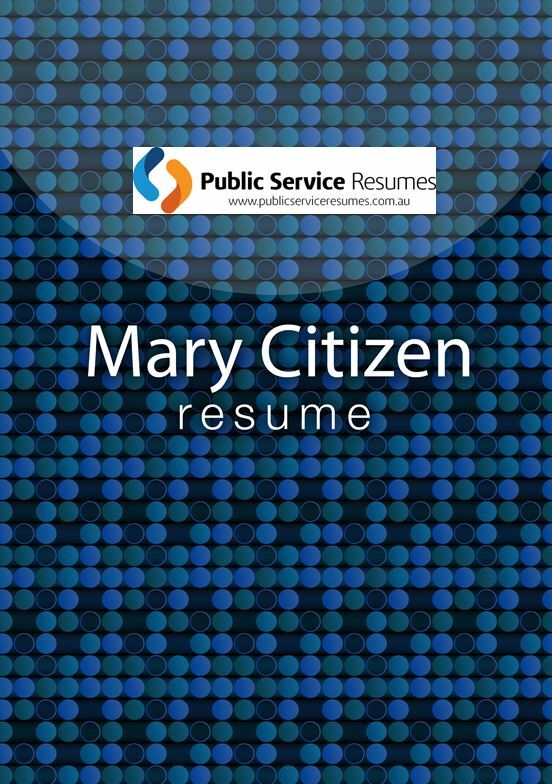 Public Service Resumes Government Professional Resume writing Service is suitable for professionals who are applying for a variety of Government roles, including Administration, Customer Service, Technical, Accounting and Finance, Industrial, Teaching, Nursing, Allied Health Services and many more. 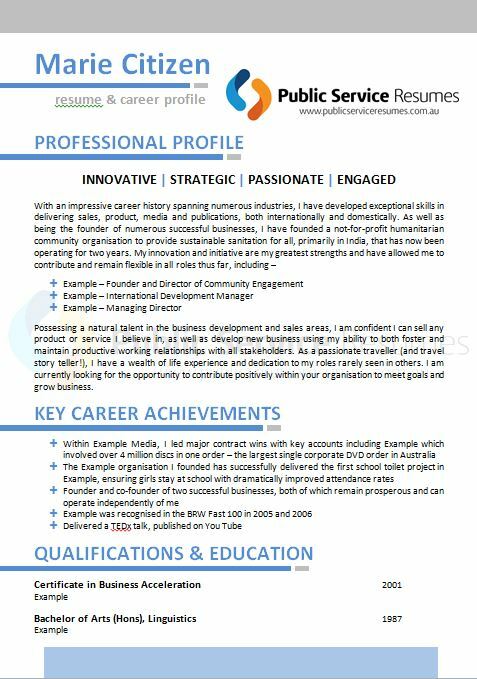 If you want a Resume that lifts your skills and experience, while enhancing your profile to an extent that an interview panel will relish the opportunity of meeting with you, then contact Public Service Resumes today. 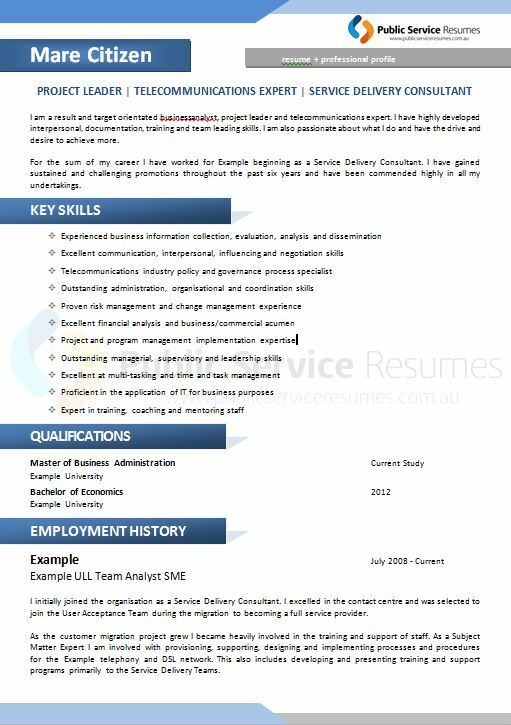 A well-written Resume allows you to highlight your workplace responsibilities and achievements, display your competitive skills, and provide a profile which clearly demonstrates your value to the interview panel. As Government positions are highly coveted, it is imperative that you stand out. This includes not only just ensuring you portray relevant information, but also ensuring that your Resume is grammatically correct and includes all of the key words that the interview panel are looking for.